During another recent round of Ice Cave Inventory Reduction, Hope found a nice pheasant from a hunting trip that I was on a few years ago. Usually, I just roast these tasty little birds. But, I was considering either grilling or smoking this gem from the Ice Cave. 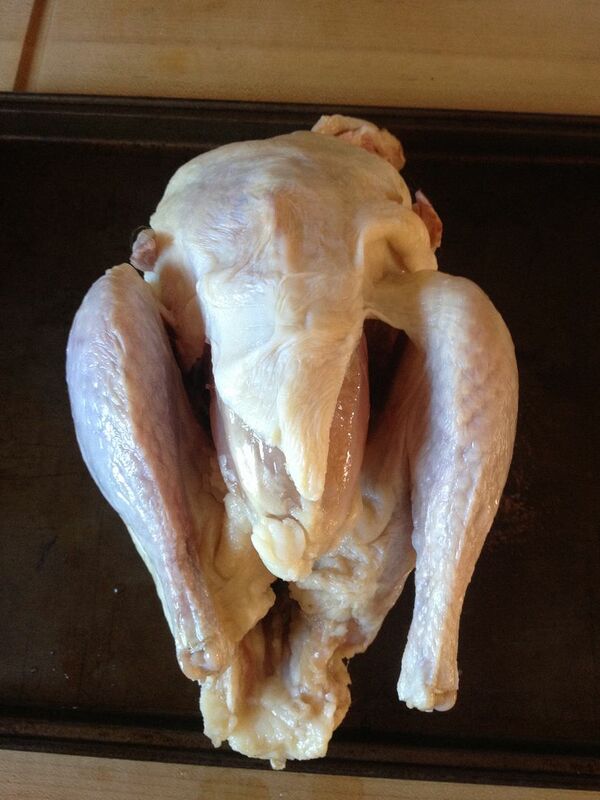 Also, it seems that spatchcocking your poultry, whether it be turkey or chicken, is in vogue this year. I have spatchcocked chickens on the grill in the past. So, I know it is a great way to cook a bird fast with high heat that crisps up the skin nicely without burning and keeps the meat inside tender and juicy. After some thought, I decided to go the route of the smoker. I was a bit short for time, so no brine for this bird. Also, when I scanned our pantry, I did not have any of my go to rub for game. So, on the fly, I tried something new. Here is the method. First, rinse your pheasant and dry. Then, spatchcock the bird. How do you do that? Very simple. But first, what is spatchcocking you ask? Well, it is a method for butterflying poultry. 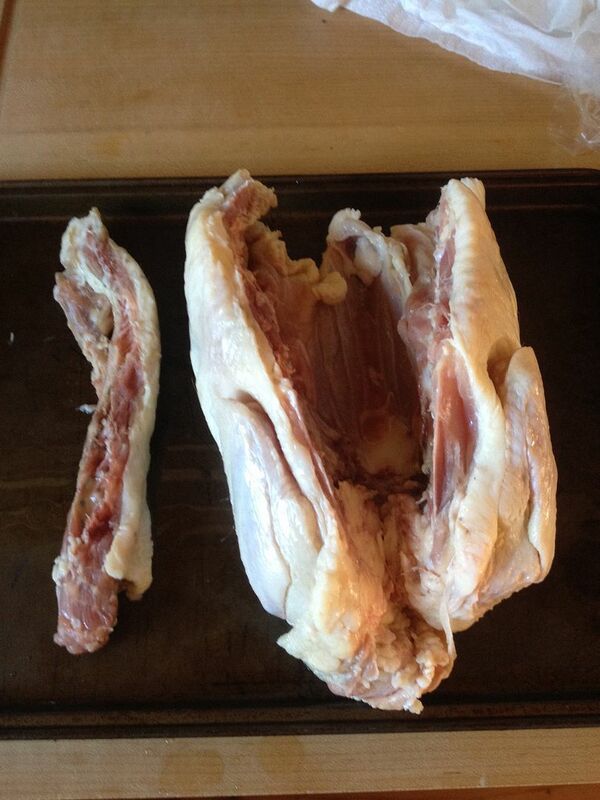 You flip your bird over and remove the backbone using a good pair of sharp poultry shears. 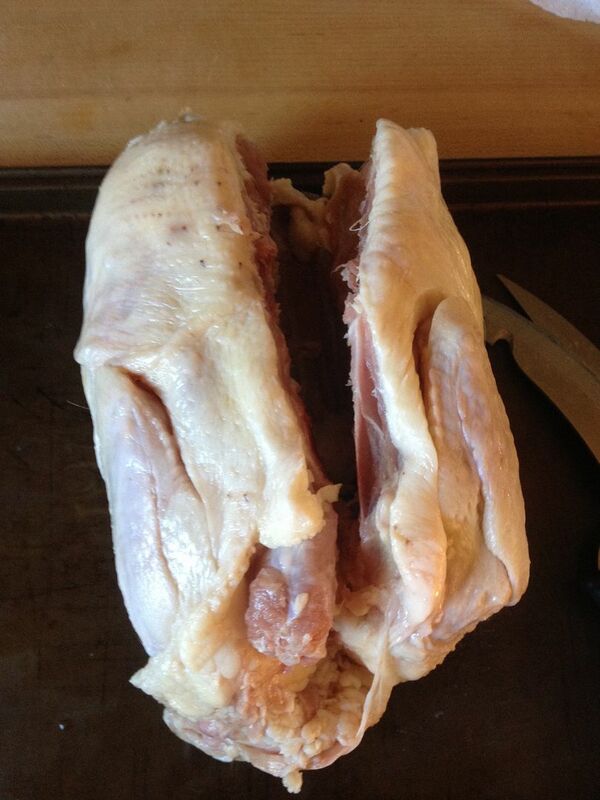 Once the backbone is removed, you turn the bird back over while spreading open the cavity. Then, you press down until your hear the breastbone crack. 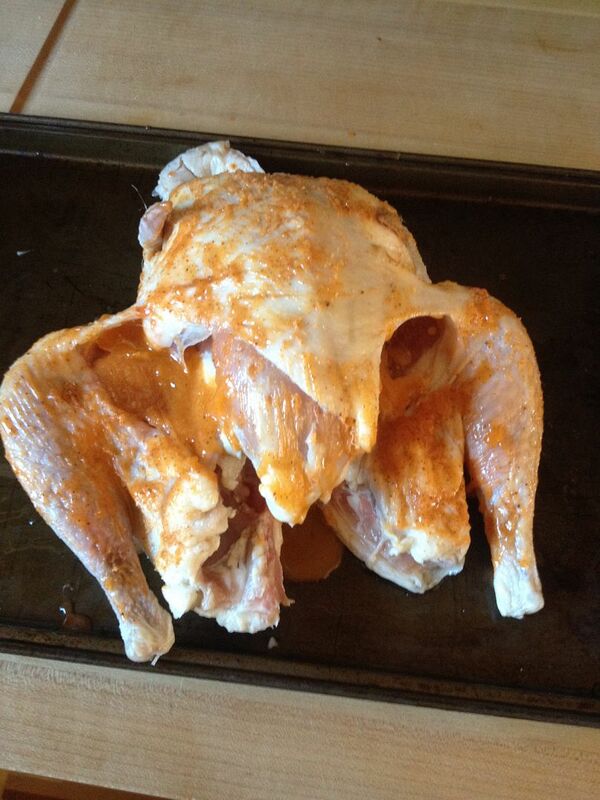 Wallah, a spatchcocked bird. Flipped back over and pressed until butterflied. Now what? Well, I opted for a butter and rub injection. 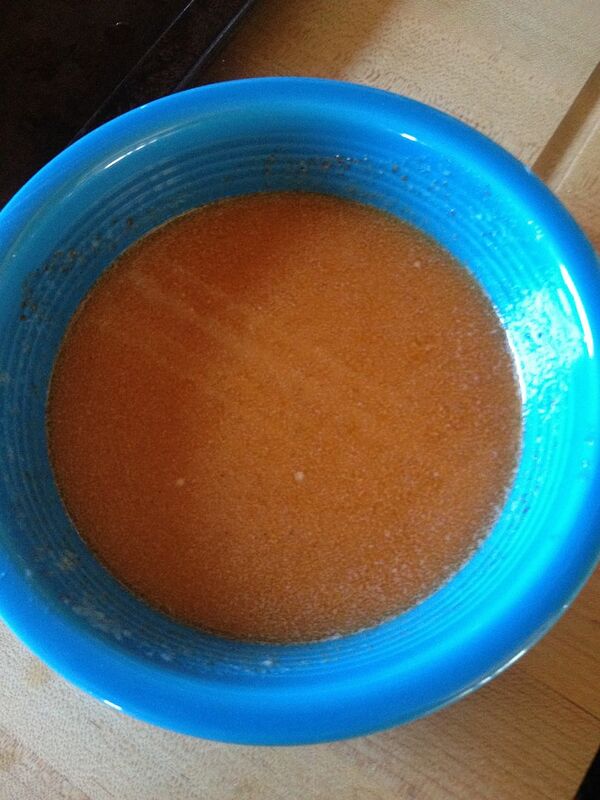 I melted once stick of butter with 1 Tbsp of Butchers Honey Rub, then mixed until uniform. A stick of butter you cry! Why so much fat? Keep in mind, pheasant is a very lean piece of poultry. During the cooking process, the butter will render from the pheasant, leaving behind the rub for flavoring and keeping the meat moist. Trust me, your bird will not be fatty tasting at all. 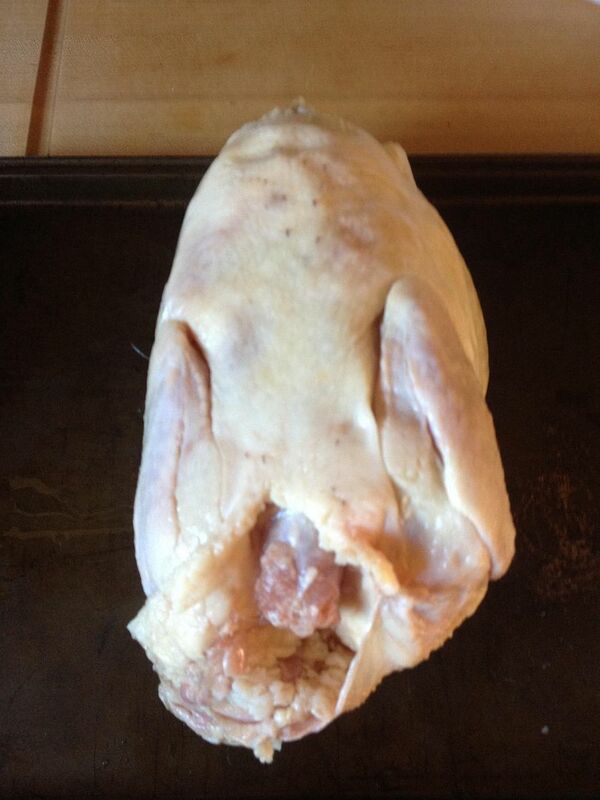 Next, I injected the butter mixture all though out the pheasant, concentrating on the breasts and legs. Then, I took a brush and applied the remains of the bowl on the skin to ensure a nice crispy and flavorful skin. While I was prepping this bird, my smoker was coming up to temperature, around 350 F. After placing some pecan in the ash pan, I placed the pheasant on the top rack to roast for 45 minutes. 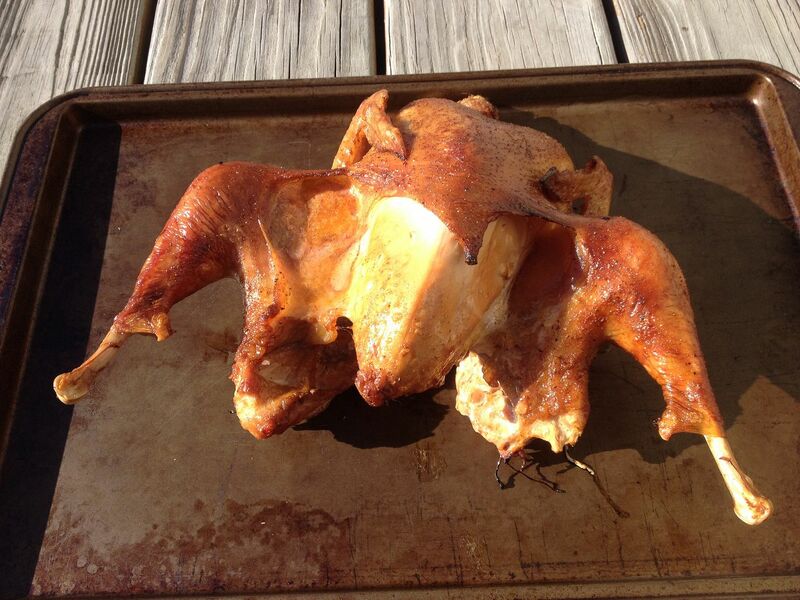 After 45 minutes, I had a bird that was 165 F in the breast and 170 in the thigh with a nice crispy skin. 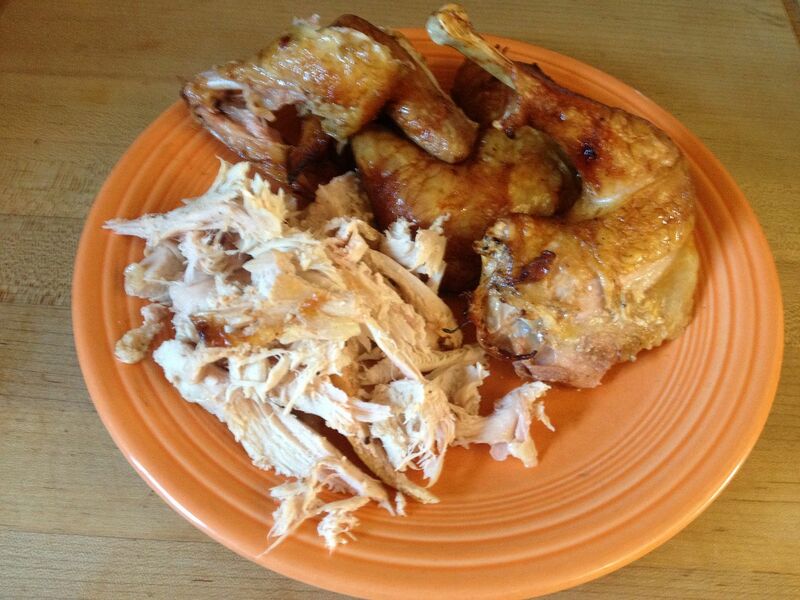 After resting for 15 minutes, I carved the bird. To do so, I removed the breasts and sliced/shredded each. 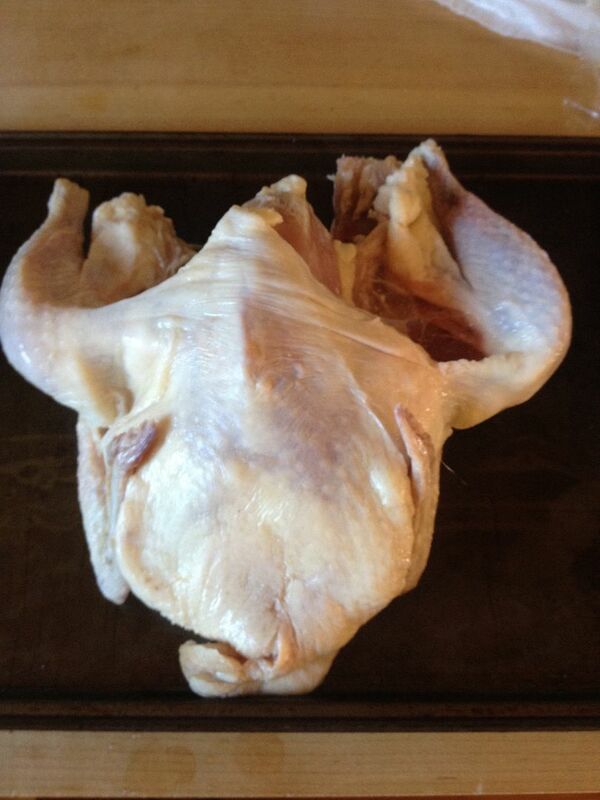 Then, I took off the wings and pulled the thighs and legs off as one whole piece. Not a hint of butter on the inside. The rub left behind a nice hint of honey and spice. The meat was juicy and the skin perfect. Have a few pheasant in your Ice Cave from this past season? Give this recipe a try.